Apple is still on the patent-based rampage, hoping to have 21 Samsung gadgets banned in the US including the Samsung Galaxy S3 and Galaxy Note tablets. Not content with its $1 billion win over Samsung announced last week, Apple is continuing to pursue this second motion, filed back in February. 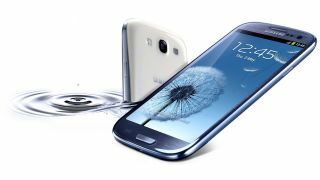 The newly updated list of devices was submitted to the California court with two versions of the Samsung Galaxy S3 as well as the Galaxy Note and Galaxy Note 10.1. It's all because Apple reckons Samsung has copied some of its patents, including the 'slide-to-unlock' function, 'word completion' and 'universal search'. Samsung fans shouldn't panic just yet – just because Apple wants the courts to ban the 21 handsets doesn't mean that it definitely will; however, if the courts rule that Apple has enough of a case, it could put a ban on sales of the devices until the outcome of the trial is decided. There's also a (very) slim chance that Apple and Samsung will put their differences aside if supposed peace talks between Apple CEO Tim Cook and Google head Larry Page go well. We won't hold our breath though.